This was a real labour of love for Vanishing Point. We were given access to over 25 different resources produced over many years, then tasked with pulling it all together into a fresh new collection, accessible to all. 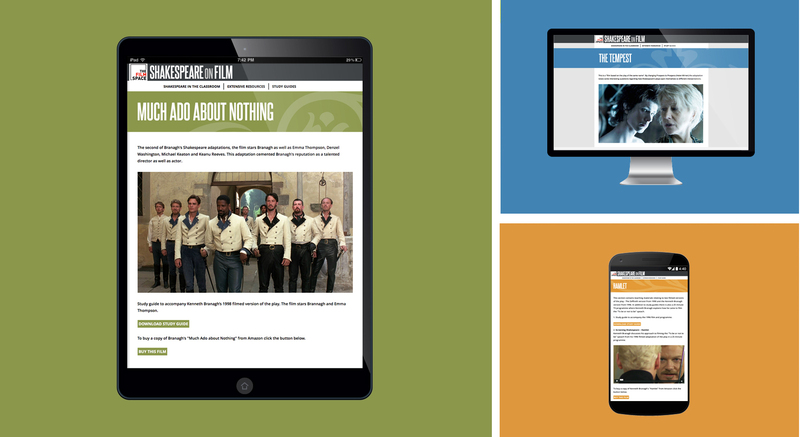 Ranging from documentaries to study guides and featuring the likes of Kenneth Branagh and Baz Luhrman, the resources provide activities to enhance students' understanding of individual texts in filmic performance. Within the Romeo & Juliet section is the BAFTA nominated interactive download of Shakespeare in Performance. This resource explores one scene from the play and asks students to interpret the text through compiling their own filmed version from given footage.